The Berkeley Psychoanalytic Society is an interdisciplinary membership group of Bay Area psychoanalysts and academics meeting four times in the academic year to study and think together at the intersection of psychoanalysis and culture. We are an independent, autonomous thinking group. Speakers come to us as a springboard for discussion. The Berkeley Psychoanalytic Society sponsors gatherings of people with like minds but differing, even conflicting ideas, to come together to discuss and learn in an accepting, open and entirely civil environment. Though we come from disparate backgrounds, we share in common an invigorating hunger for ideas and the links between them. We prize and study the nexus between minds that produce books, paintings, symphonies, popular music, stand-up comedy and other artful expressions. 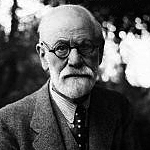 Psychoanalysis is a discipline dedicated to the precise enterprise of revealing the functioning of the human mind. 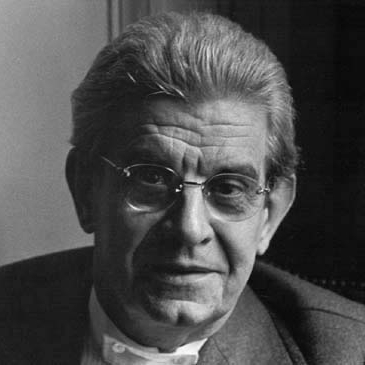 The gifts of psychoanalysis extend far beyond the clinical sphere. Freud’s purpose and legacy has always been that of understanding the challenge inherent in being human — both individually and collectively. The mission of the Berkeley Psychoanalytic Society is to value and protect this culturally neglected purpose of psychoanalysis. That is, seeking understanding on how mental and emotional experience translates into our collective public and political life. In exploring the links between the particular and the universal, the Berkeley Psychoanalytic breaks down the barriers between us as we come to understand the experience of being human. We seek broader exposure to our learned colleagues in the humanities, social sciences, sciences and the arts because in exploring their thinking and writing through a psychoanalytic lens, we experience and celebrate creativity. In each other’s company we offer and support renewal from the maelstrom of modernity. Our logo, a face looking both ways at once, symbolizes duality; duality of past and future, of internal and external worlds, of self and other consciousness, of private and public life, of the particular and the universal. Most important, our logo represents the psychoanalytic awareness that living promises pleasure, adventure, growth and joy accompanied by ambiguity, contradiction, anguish and loss. Without tolerance for ambiguity, we slip into polarized perspectives that preclude thinking, a form of knowing that is violent. Psychoanalysis privileges the unconscious. We at BPS seek to enliven and protect psychoanalysis as an intellectual endeavor by acknowledging the role of the unconscious mind in human expression. We are all participants in the ordinance of time, the fragility and endurance of beauty, the confluence of desire and sexuality, the depth of loving tied to the inevitability of loss, the inherent limitations and equally powerful reaches of language and yes, even the cunning disguises of our own destructiveness. Within psychoanalysis, we are less afraid of that which we cannot bear to know — that part of ourselves that we can only fleetingly see but finds expression in all we say, write and do. Founder and Chair of the Berkeley Psychoanalytic Society. She is a practicing psychoanalyst in Berkeley and San Francisco, CA. A graduate of UC Berkeley in European Intellectual History, and CSPP, she is on the faculty of the San Francisco Center for Psychoanalysis. She was past Director of the West Coast Masterson Institute for the Treatment of Personality Disorder, and has published with James Masterson in Personality Disorders through the Lens of Attachment Theory and the Neurobiologic Development of the Self. Co-Founder – former literature professor and union organizer, retired University Administrator: Assoc. Vice Chancellor of Human Relations and Public Safety for UC Berkeley, managing Police, Environmental Health & Safety, EEO; Director of Personnel , Manager of Labor Relations for UC Berkeley - first to implement collective bargaining for the UC Berkeley Faculty. Formed & led as Executive Director NY State Teachers Association. Psychoanalyst in Berkeley, CA. She is on the faculty of the San Francisco Center for Psychoanalysis, the Psychoanalytic Institute of Northern Californis, and Oregon Psychoanalytic Center. She is a founding Committee Member of the Berkeley Psychoanalytic Society. She writes essays and book and film reviews on the exchange between psychoanalysis and the arts and humanities. Her essay (A) Temportal Dialectic: Creative Conversations between Timelessness/Time and Transference received the Karl A. Menninger Memorial Award and JAPA Journal Prize. Professor of English at the University of California, Berkeley. She is author of Virginia Woolf and the Fictions of Psychoanalysis and Signs of the Times: The Visual Politics of Jim Crow; and the editor or co-editor of Writing and Sexual Difference; The Sign Reader: Women, Gender and Scholarship; The Voyage In: Fictions of Female Development; and Female Subjects in Black and White: Race, Psychoanalysis and Feminism. She is currently working on a book about the cultural afterlives of Virginia Woolf. Professor of English Emerita, SUNY-Buffalo; Research Associate, Department of English, University of California, Berkeley; she has taught at the San Francisco Center for Psychoanalysis, and was an instructor at the Psychoanalytic Institute of Northern California. 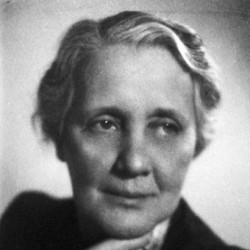 Her publications include: Passions of the Voice: Hysteria, Narrative and the Figure of the Speaking Woman; Co-Editor with Charles Bernheimer of In Dora’s Case: Freud, Hysteria, Feminism; Co-Editor with S. Garner & M.Sprengnether of The (M)Other Tongue: Essays in Feminist Psychoanalytic Interpretation. Israel Katz, M.D. is a Member and Faculty at the San Francisco Center for Psychoanalysis who teaches courses on Freud, psychoanalysis in France and Argentina, and therapeutic mechanisms of action at SFCP, NCSPP and Access Institute. He has presented his work at the Symposium and Congress of the Argentine Psychoanalytic Association, and to the Berkeley Psychoanalytic Society and has been a discussant for visiting scholars and Opera on the Couch at SFCP. Dr. Katz was Editor-in-Chief for IPSO, the analysts-in-formation organization at IPA - affiliated society and study groups, and is currently an Editorial Associate for JAPA. He has a private practice in psychoanalysis and psychiatry with adults in San Francisco and works in SF Community Mental Health.